In our last “Meet the Continuum of Housing” report on Supportive Housing, we are posting a report issued by the CNHED Supportive Housing Working Group, Fall/Winter 2011. You can see the full report (with graphs!) here. Permanent supportive housing (also permanent supported housing or PSH) is a successful, cost-effective combination of affordable housing with services that helps people live more stable, productive lives. PSH is a proven, efficient way to address homelessness by helping people who face the most complex challenges, such as mental illness, chemical dependency, and HIV/AIDS, become stably housed. Permanent Supportive Housing is cost-effective for families who have been homeless. 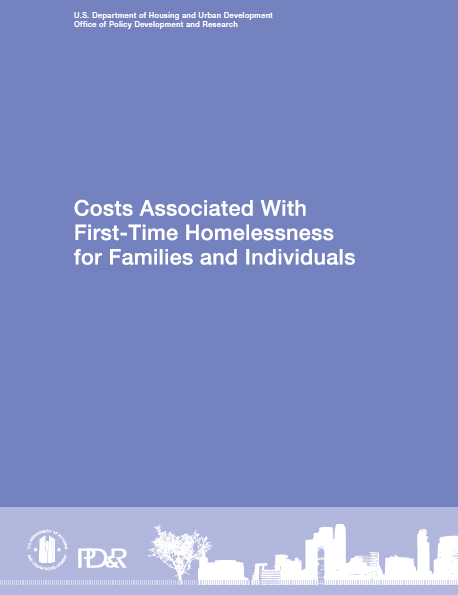 A 2010 study of several sites by the U.S. Department of Housing and Urban Development found that in D.C. the cost of PSH was $42/day, compared with apartment-style shelter at $83/day and congregate shelter at $123/day. In all four of the study sites the cost of PSH per family per day was less expensive than any other type of housing with an average cost of $42 per day. Permanent Supportive Housing helps to reduce municipal costs for individuals who have been homeless. PSH costs less than the alternatives. Across the country PSH is 53 times less expensive than hospital care and 18 times less than care in a mental hospital. PSH is only modestly more expensive than emergency shelters, but the social and human benefits far exceed those offered by traditional shelters. A PSH project saved $16,282 per unit per year in medical and mental health care. A ground-breaking study in New York City found decreases in use of homeless shelters, in-patient hospitals, emergency rooms, jails and prisons among supportive housing tenants, resulting in savings of $16,282 per unit per year. If savings were reinvested, the cost of providing PSH would be off set. A PSH project generated savings of more than 25% in costs, or nearly $8000 per person. A 2008 study by United Way of Rhode Island showed that PSH reduced hospital overnights, mental health overnights, alcohol/drug treatment overnights, ER visits, jail/prison overnights, an shelter overnights. A PSH project reported a 44.6% decrease in total health costs – saving $7,755 per person in a 2006 study of the Denver Housing First Collaborative. There was a 76% reduction in incarceration costs for the same group. Permanent Supportive Housing not only saves money but dramatically improves outcomes andquality of life for people who have been homeless, leading to greater housing stability and satisfaction.